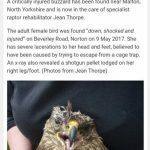 How they work: there are various types of trap used to catch birds of prey – we’ve already covered leg and body-hold traps in other pages so we’ll just focus on the other types, such as the one pictured above. 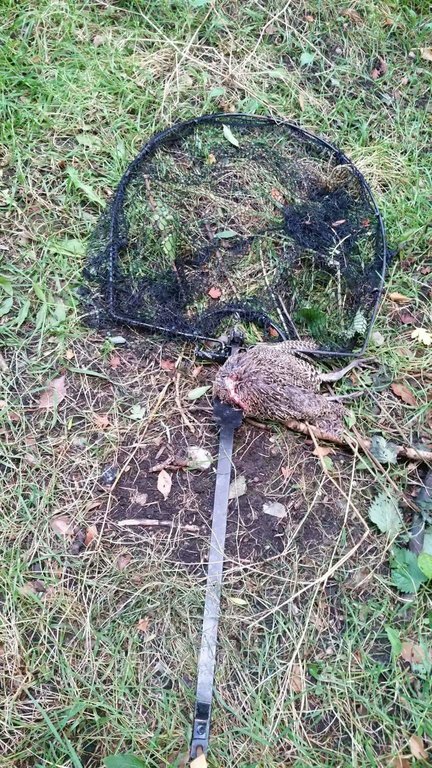 This was found in the North Cotswolds cull zone by a sab from our group in 2016 and is set to spring and catch a bird of prey who comes down to feed on the dead pheasant. 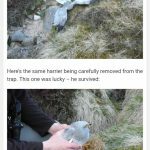 How you can help: the RSPB were very interested in the trap mentioned above which our sab found. As were the police. 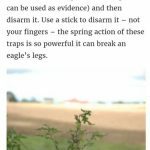 They do tend to crack down a lot more on traps like this. We also put up a trail camera to catch the person coming back to check on the trap. 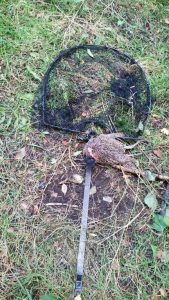 If within the three counties, we would appreciate a call if anything like this is found – 07891 639803 – as we may already have an investigation going on into illegal traps in various areas and may have cameras, etc. put up. 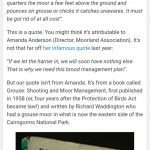 Calling the police and RSPB and filming as much as possible of the trap, any bait used or animals trapped in it and the surrounding area so that the location is clear is a must.